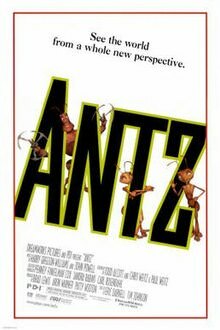 Antz is a 1998 American computer-animated adventure comedy film directed by Eric Darnell and Tim Johnson, written by Paul Weitz, Chris Weitz, and Todd Alcott. The film stars Woody Allen, Sharon Stone, Jennifer Lopez, Sylvester Stallone, Dan Aykroyd, Anne Bancroft, and Gene Hackman. Some of the main characters share facial similarities with the actors who voice them. 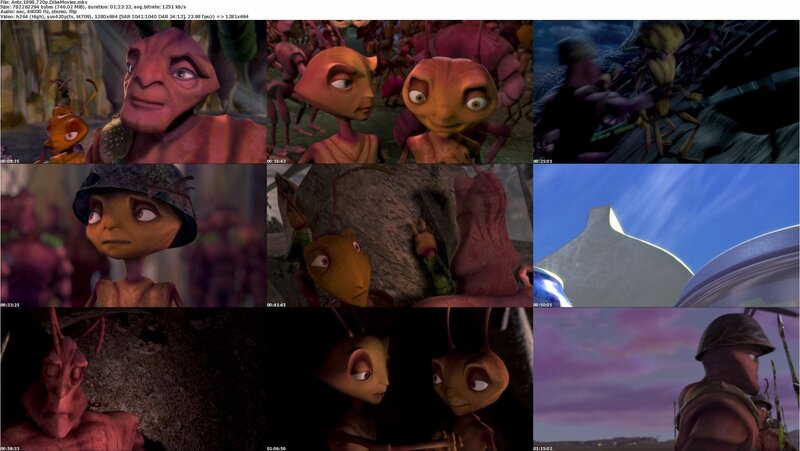 Antz is DreamWorks Pictures’ first animated film, and the second feature-length computer-animated film after Disney/Pixar’s Toy Story.